A few years back, investors were confused as to why they should invest in residential properties in Pune. The period of dilemma and confusion emanated due to the global economic fallout. This financial burnout has had its toll on the real estate sector of all the major metro cities of India also. Just like the stock market suffered crises and most people lost their jobs, hard earned money, the real estate market also hit the rock bottom. This caused ambiguity and stress among the investors and they became very cautious about their investment decisions. However, since the new policy updated by the government of India, the domestic scenario has changed a lot for better and industry insiders are speculating that investing in the real estate market is going to yield a good return on investment in future. More so. To buy residential properties in Pune,especially for middle class families with 1 or 2 BHK apartments, is reportedly going to be the best investment opportunity due to the improvement of purchasing powers among this group. It is the right time to invest in residential projects in Pune because the industry experts and investment analysts are saying that the real estate market in Pune is gearing up for a quantum leap in the next few years. In this extensive transformation, macro-economic and sector-specific factors, will act as the catalyst of change. The economy of India will work as the beacon of assurance with an average growth of more than 7 per cent. In such projected prospects, it makes sense to invest in the real estate market in India. 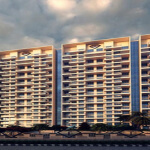 There are various other factors which makes it more obvious to buy residential projects in Pune. 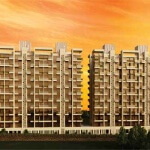 There is a renewed interest in the residential property sector in Pune right now. One of the important reasons for this new trend is the unpredicted and unseen repercussion of the recession. Due to the recession prices of properties are inevitably brought down to the ground, which has created a new interest in purchasing residential properties in Pune, because now property rates have become more in the reach of middle class people. Some other reasons include the revised pay scale of Government employees and nice salary structure with the perks of the private sector, etc. Due to these factors, there is an unprecedented hike in the demand ofresidential properties in Pune among the lower and middle class people. 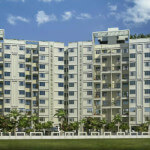 The trends in residential projects in Pune has turned towards affordable, smaller and modern homes. Hence, most of the construction companies have started new real estate projects of smaller apartment units. But it is expected that the prices of the bungalows will also increase in the future because of middle class people who ready to improve their lifestyle with their improved purchasing power. The rooms of residential property are well illuminated and spacious and also consist of a good ventilation system with proper security measures in place. This is one of way how they are attracting customers and investors. 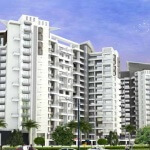 So, it is an ideal time to invest in residential properties in Pune, as the market is growing.